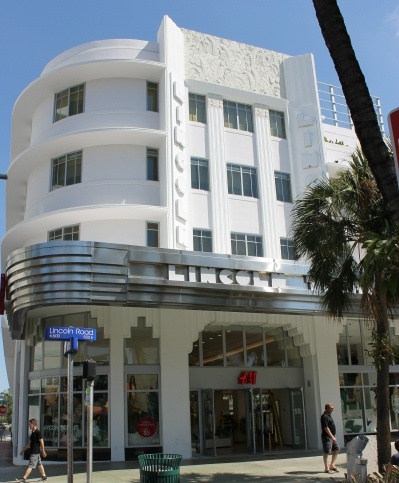 Description: The theater was designed by Robert Collins and Thomas Lamb in 1935 in the Art Deco style. Architectural features include rounded corners, window "eyebrows", vertical pilasters, and bas-relief panels. History: After serving as a major movie theater from 1936 until the 1980's, the theater was the home of the New World Symphony for a number of years. 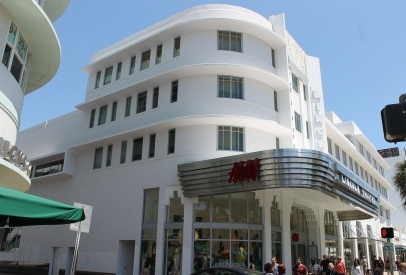 The building was then architecturally restored in 2012, but its interior was converted into shopping space.